Mint condition - A Rare Consignment resale from private owner after 17 years! One only, Never offered again! THIS WAS ORIGINALLY OFFERED YEARS AGO IN A GALLERY FOR $4500. 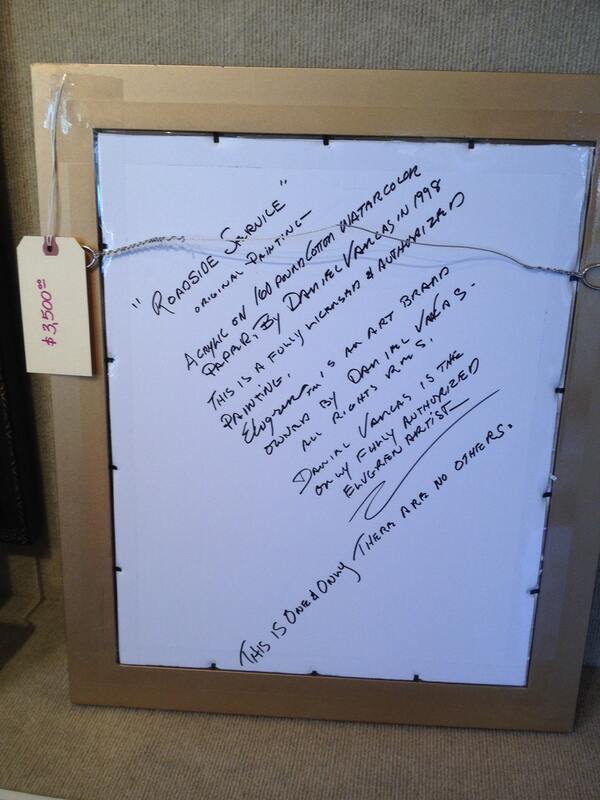 ONLY DANIEL VANCAS' FULLY AUTHORIZED RECREATION INCREASE IN VALUE! FIRST OFFERED IN 1995 HAVE STEADILY CLIMBED IN VALUE SINCE. $6500 - IN 2016 FOR SOLD VANCAS' RECREATIONS. DONT MISS OUT - THERE WAS ONLY ONE, 1998! THIS IS THE FIRST TIME THIS PAINTING HAS COME UP FOR RESALE SINCE IT'S RECREATION IN 1998. THIS IS THE ONLY AVAILABLE FULLY AUTHORIZED and LICENSED RECREATION by DANIEL VANCAS in 1998. ONE AND ONLY - NO OTHER ONE EXISTS - NO OTHER WILL BE EVER OFFERED! 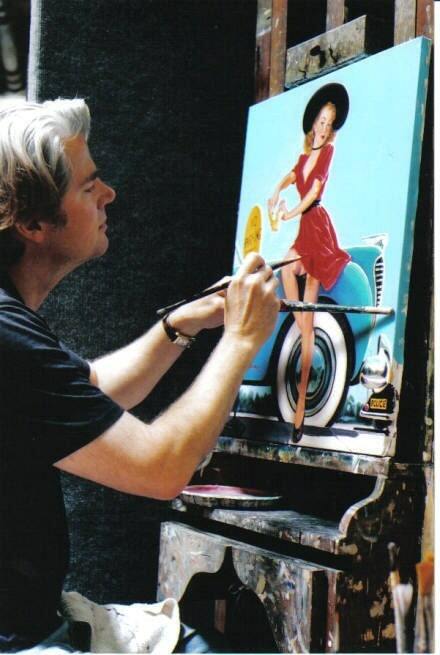 FOR 21 YEARS THE FIRST AND ONLY ARTIST OWNING THE ELVGREN ART SIGNATURE BRAND AND ELVGREN EASEL. OVER $264,000 IN LICENSING PAID FOR THE PRODUCTION OF THESE RARE AND ONLY FULLY AUTHORIZED RECREATIONS. THIS IS THE REAL DEAL AND NOT A UNAUTHORIZED FAKE WITH FAKE NAMES AND FALSIFIED COUNTRY ORIGINS. PAINTED IN 1998, ONE ONLY. ESTATE SALE - THIS PAINTING WAS SOLD AND NOW UP FOR RESALE FROM OUR CLIENT AFTER 17 YEARS! VALUED AT $6500 BY GALLERY VALUATIONS, SALES GROWTH AND SOLD COMPS - MINT CONDITION! NEVER OFFERED FOR RESALE BEFORE. 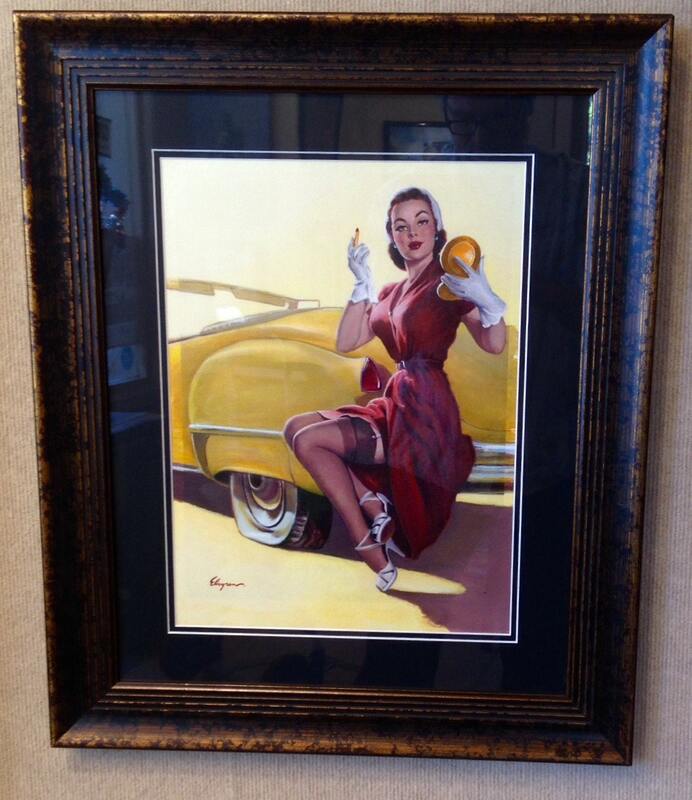 DON'T MISS THIS OPPORTUNITY TO OWN THE FIRST EVER RECREATIONS AND MOST POPULAR ICONIC ELVGREN IMAGE! FULLY AUTHENTICATED, SIGNED AND DATED 1998. IN 2000 THIS IMAGE WAS RETIRED AND NEVER OFFERED AGAIN! SHIPS PROFESSIONALLY PACKED, CREATED AND INSURED. YOU PAY ONLY 50% OF SHIPPING COSTS! This image is (c) BB all rights res. Elvgren is an signature art brand owned by Daniel Vancas, 1994 - 2015 all rights res. HAVE A CUSTOM REQUEST? 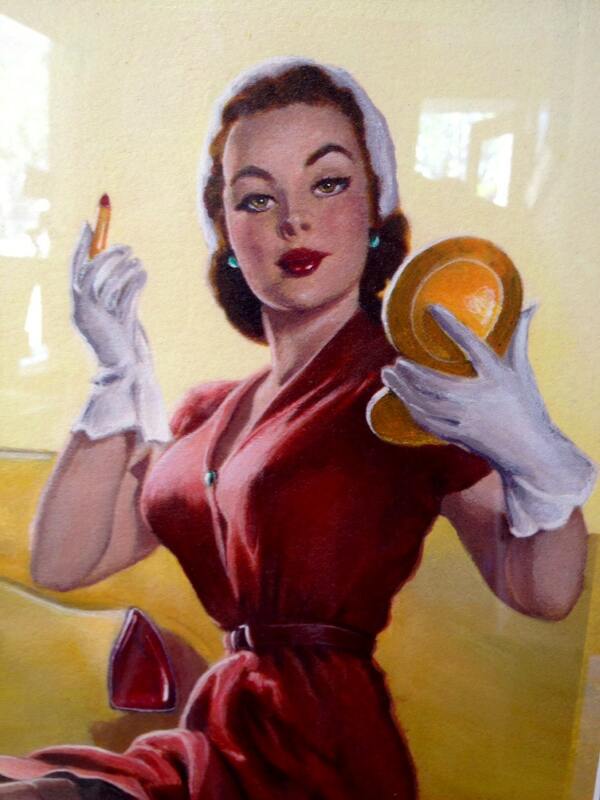 WANT TO BE A PINUP GIRL, OR HAVE DANIEL VANCAS PAINT A NEW CUSTOM ORIGINAL FOR YOU? LET ME AD ONE JUST FOR YOU! WANT TO BECOME A RETRO STYLE PIN-UP CALENDER GIRL FROM THE 1940'S OR 50'S? 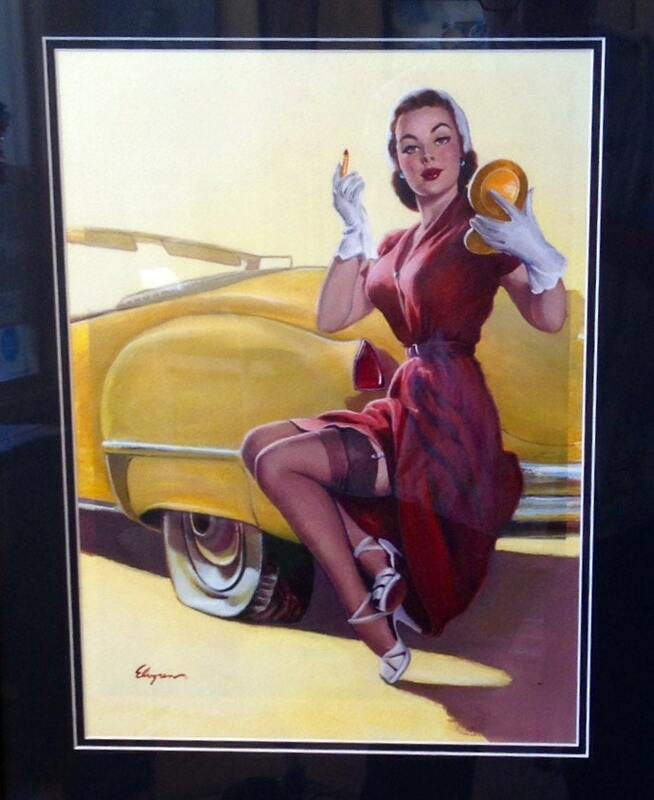 DO HAVE A COMMERCIAL APPLICATION FOR A RETRO STYLE PIN-UP? ARTIST DANIEL VANCAS - FAMOUS ELVGREN REPLICA ARTIST, OFFERS PIN-UP - ILLUSTRATION AND FINE ART FOR PRIVATE OR COMMERCIAL REQUESTS. YOUR COMMISSION WILL BE PAINTED ON THE 1930 ELVGREN EASEL. THE VERY EASEL THAT GIL ELVGREN USED TO PAINT ALL OF HIS FAMOUS PIN-UPS, COCA-COLA AND ILLUSTRATIONS! EST. 1992 - FIRST IN ELVGREN AND THE RETRO PIN-UP REVIVAL! 6 MIN MONTH LEAD TIME. 50% DOWN - 50% ON COMPLETION. OTHER ARTIST AND STYLES AVAILABLE. PRICE BASED ON SUBJECTS, SIZE, OBJECTS, PROPS. : PRICE $3500 TO $7500 TYPICAL. ART PRINT AND PUBLISHING SERVICES AVAILABLE. AMERICAN STYLE DESIGNED - CRAFTED AND MADE IN THE USA by an AMERICAN ARTIST! NO CHINESE OR OFFSHORE ART MILLS, NO FAKE NAMES, NO "NON-DE-PLUME" FAKE ARTISTS! Ships unframed in the tube. Framing options available, call for details.